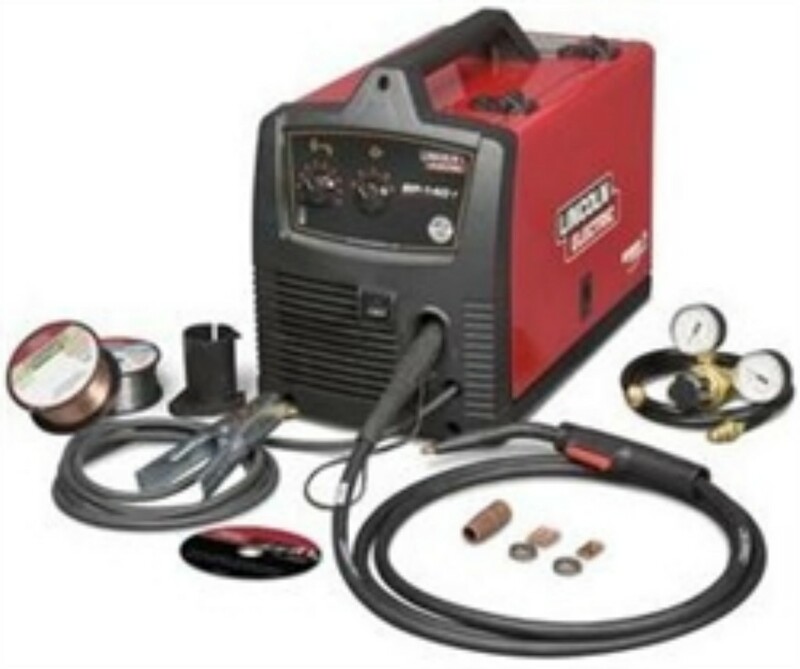 120 Volt AC Input Compact Wire Welder Here`s a great little welder for project and repair welding at home, on the farm or in an autobody shop. Superior Arc Performance - Forgiving arc and simple tapped voltage control make dialing in your application easy. Smooth arc starts with minimal spatter. Wide 30-140 amp welding output range. Precise Wire Drive - Precision full adjustment drive system reduces chance of wire tangling and crushing. Brass-to- Brass gun connections for enhanced conductivity. Large industrial closed design drive motor for improved torque and trouble-free performance. No Hassle Tool-less Design - for wire spool mounting, wire drive service and polarity changes. Spool Gun Capable - Add the economical Magnum 100SG spool gun for enhanced aluminum wire feeding performance. Toughest PC Board Protection in the industry - `Potted` to seal sensitive components from the environment, `trayed` in a tough plastic tray to add rigidity and shock resistance.